Sustainability is a multi-layered opportunity for meaningful change. It can be personal, local, national, multi-national and global, says Stella West-Harling MBE, president of Independent Cookery Schools Association (ICSA). For ICSA cookery school members, signing up for membership means sharing these core values. “Our core values are a base from which to grow. The climate change lobby tell us that we have just 20 years to change our habits and live sustainably – or see the consequences of global warming destroy our planet,” says joint founder Stella West Harling MBE. She believes passionately in the power of individuals to drive change. “Our personal responsibility may extend to shopping and living sustainably. We can see the power of customer demand changing the way we live in simple things such as the reduction of plastic bags and packaging. Wonky vegetables instead of being thrown away, are being sold cheaply at supermarkets and a nationwide collection of waste food, still fresh, given away to feed the homeless or passed on to food banks,” she says. 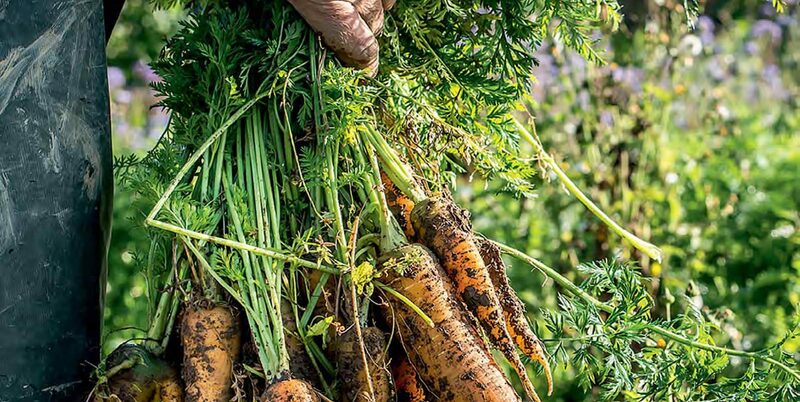 ICSA and their associates at the Sustainable Restaurant Association have been leading the way in teaching by example that a sustainable food culture is an essential ingredient in the hospitality and catering industry. By showing students how to use core values of sustainability they pass on these values directly to tens of thousands of cooks – and they, in turn, will spread the message. Sustainability is for life. ICSA cook school Leith’s School of Food and Wine is developing increasingly sustainable practices in all areas of its business. The West London school has taken a range of steps to ensure food waste is minimised. First of all, the buyer at the school is careful to buy the correct quantities. The school runs more than 400 courses and classes each year alongside its famous Diploma in Food and Wine, so careful buying makes a huge difference. When class numbers change at the last minute, the school’s buyer, is often able to speak to suppliers and adjust quantities to prevent food wastage. Where there is unavoidable waste, a three-tier system operates at many member schools: First of all, any food that can be turned into meals for the most vulnerable in society is sent to delivery charity City Harvest. This includes any appropriate food created by students which they donate to City Harvest as well as any excess ingredients. Next, usable leftovers are ‘recycled’ into staff lunches – which can be quite an eclectic mixture. Finally, the perishable waste that is left (along with the contents of the compost bins kept in every kitchen) are picked up by a specialist company who turn waste food into biofuel. Beyond waste reduction, the school focuses on equipping both professional and amateur students with the skills they need to eat sustainably. Leiths, under the guidance of Managing Director Camilla Schneideman, has diversified its course programme dramatically over the past ten years. Leiths now run a range of eight different vegan and vegetarian classes, which offer customers a speedy way to reduce their carbon footprint. But fundamentally, it’s about making the most out of every single ingredient. Jenny Stringer, principal of Leith’s school, says: “We teach all our students how to make the most of all their ingredients. We teach fundamental skills such as butchery and stock making,which allows students to use as much of the animal as possible. Nose-to-tail eating is very fashionable, but it makes sense in environmental and financial terms too. So, by supporting an ICSA school, students are in turn supporting sustainable causes and not only cutting down on waste, but learning how to apply and even teach the next generations on the importance of sustainability in our kitchens.